NFL opening day only 4 days away!!! Betting is 64% on Florida St with the line moving from -6.5-106 to -5+101. That is a clear reverse line move and is also supported by a reverse line move with Chris. The neutral field favors the dog in these situations and I would be betting this game without a doubt if Mississippi was an unranked team. However the fact that they are ranked is enough to steer me away from the game. So we had a neutral field that put the game in the play category based on the reverse line move and the line but the Ranking of the dog then takes them out of consideration for me. #11 teams tend to be overvalued quite a bit more than #4 ranked teams. At least historically that has been the case. The bottom line is I am passing on the game. However again if you considering the favorite you might want to sit this game out as fading reverse line moves with lines this low is typically not a place to put your hard-earned money. Good Luck which ever side you decide on. I am passing. Hard to believe but yes the NFL is finally upon us. This is the time of the year that every sports bettor looks forward to. Let me make a quick warning. Most sports bettors take themselves out of action the first few weeks of the season by better far more than they should. The excitement of the NFL starting along with the forgotten memories of past seasons betting cause sports bettors to be overly optimistic. But then reality sets in and many lose far more than they should the first few weeks. 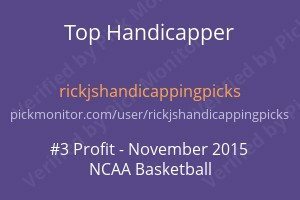 I only mention this because it’s the most important concept a sports bettor needs to learn. Bet Sizing. 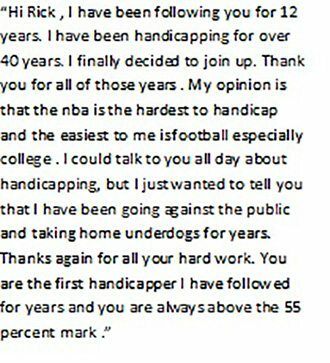 If you do not master this concept it matters not how good a handicapper you are. I have given a few tips over the years but this one concept is the most important thing I can convey to you. Saturday things picked up a bit with 3 plays in MLB and we went 2-1. Our two 1 unit plays split with Tampa +106 losing 3-5 and Oakland +129 winning 1-0. Totals just keep rolling along in MLB with our 1/2 unit play on the Mets Under 8 -108 winning 5-1. That brings our MLB Totals to 19-9 this season! Two moved our way with the other staying steady. These Big Move Games have been very consistent in predicting what direction the line is going to move. I send these out between 4:00 and 5:00 AM PST. to all subscribers. Today I have sent out 2 one unit plays along with 5 Big Move Games. You can get on board with us for a fun football season by going to the PayPal menu and picking the subscription of your choice. All have 3 day free trials.